Featuring an all-new Basalt Grey finish and Dolphin linen upholstery, the City II collection is a timeless classic that emphasizes authentic livability. 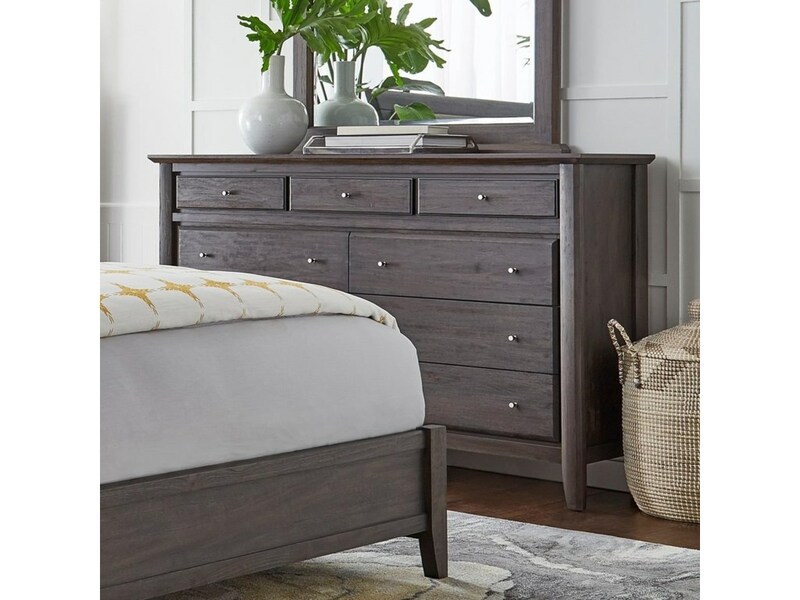 Built from Mahogany solid wood and veneer, signature features include beveled solid wood drawer fronts, floating tops, gently sleighed, padded headboards, and shallow top drawers for storing delicate items..
– Wire brushed basalt gray finish . – 100% polyester linen upholstery in Marlow/dolphin fabric . – Sanded and stained solid wood drawer boxes with English dovetail joinery. .
– Full-extension ball bearing drawer glides . – Felt-lined dresser and chest top drawers . – Discrete metal-to-metal bed rail fittings for easy assembly and long-term durability. The Innsbruck is a contemporary, upholstered sleigh bed covered in a soft and beautiful grey linen fabric. With its elegant silhouette and design details, including decorative stitching and deep button tufting, the Innsbruck will make a sophisticated bedroom focal point. The Innsbruck also combines comfort and construction with its soft padding, solid hardwood frame, and multiple support slats.